Last May 28, Saturday, I was invited to join the Converse Block Party at the SM Mall of Asia. I'm glad that I was able to go despite the rains and the commuting! It was almost 3 PM at that time and the Converse Block Party was well on its way of its informal program. 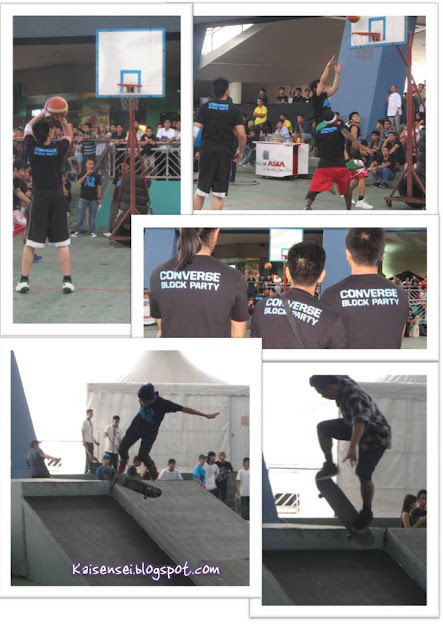 Converse brought an entire community together for an entire day of street games, basketball-skateboard-and-dance exhibitions, musical performances and fun prizes for the participants of the Block Party. It was a free admission event and people were invited to sign up and join in all of the activities! Huge Converse Shoe Replicas on display at the entrance. 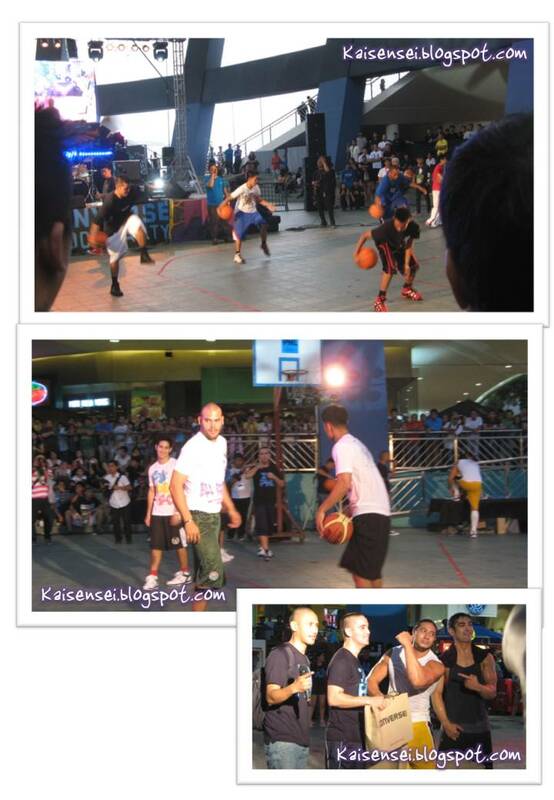 When I arrived with Jen, the 3 on 3 collegiate basketball games were already ongoing! A lot of people were watching and cheering on their favorite team. Also on the other end of the Music Hall at SM Mall of Asia, they had set up some ramps and platforms for avid skateboarders to strut their stuff and show off their skills. Enthusiasts were invited to join and play! Converse understands the Filipinos love for the basketball game. So besides the basketball school teams that were pitted against each other, Converse had an basketball exhibition show and also invited celebrity basketball players. And with that, Converse has released their basketball gear line! Looks really cool! The Converse Block Party also made sure that the day would not be boring by hosting electrifying performances by Beatbox Philippines, Callalily and Gloc 9 with Pointblanc. (Unfortunately I wasn't able to see the concert by Callalily and Gloc 9 because I went home early). The Philippine All-Stars and Krumpinoy got everyone moving to the beat of their amazing street-dance moves. 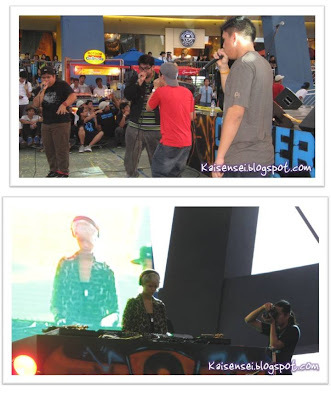 They invited onlookers to participate and several won amazing prizes by Converse! Wow lucky! Top Photo: Beatbox Philippines gave a super impressive performance that left us all amazed! Philippine All Stars and Krumpinoy teaching their stuff to a new generation of dancers! Besides these awesome activities that encourages people to join, the Converse Block Party also set up a free photo booth and a graffiti wall where everyone was invited to have a go at it. I wasn't really thrilled with the smell though so I didn't try it out. 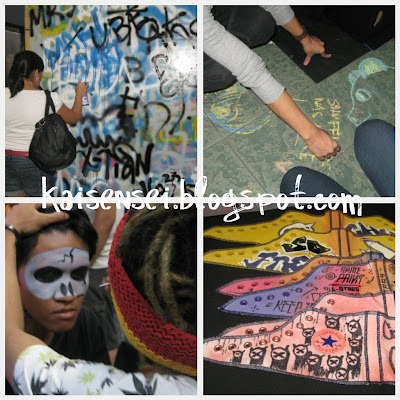 Also, visual artists created some cool art on the walls and floor by doing some really cool graffiti and chalk art. My bff JEN and Yours Truly! 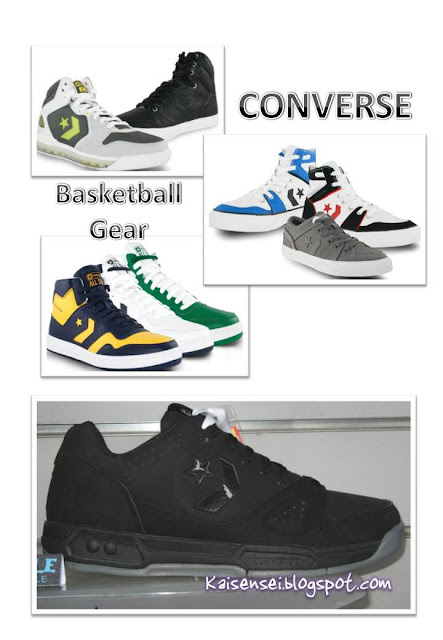 And of course, what is Converse without their awesome trademark shoes! Had fun checking em out! Here are some of my favorites. I really want the one that I'm holding! Purple and Gray! Converse will also be releasing a new line called HERO INSPIRATION. 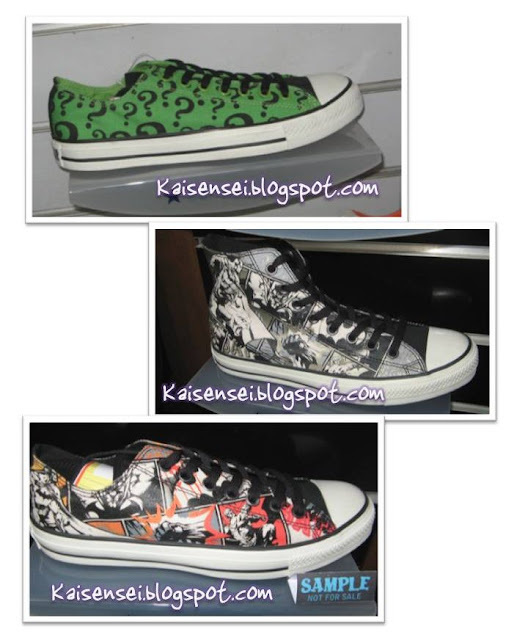 Converse with the cooperation of DC Comics has released a new line of shoes based on their famous superhero comics. Converse and DC Comics aims to inspire a legion of kids both young and old who are in need of hero inspiration! Converse has also released a new line of Marimekko shoes for women which I personally am falling in love with it! The Converse X Marimekko pair of chucks speaks of women who are bold and adventurous! It wasn't displayed at the Converse Block Party but I saw it before on Aryanna Epperson's blog. I borrowed a pic from there. Actually, the pic is her blog itself! She's THE daughter of well-known blogger Jenni Epperson and Tom Epperson. I love her comic style of blogging, and the Marimekko Converse shoes definitely compliments her personality! With the school year beginning next week for most schools, Converse also provides a cool alternative to your typical school bag gear! I personally like the messenger bags. Of course besides enjoying my day with Jen, I also had a chance to meet up with Ava! :) I really like her scarf. Athan was there as well, looking cute as always! 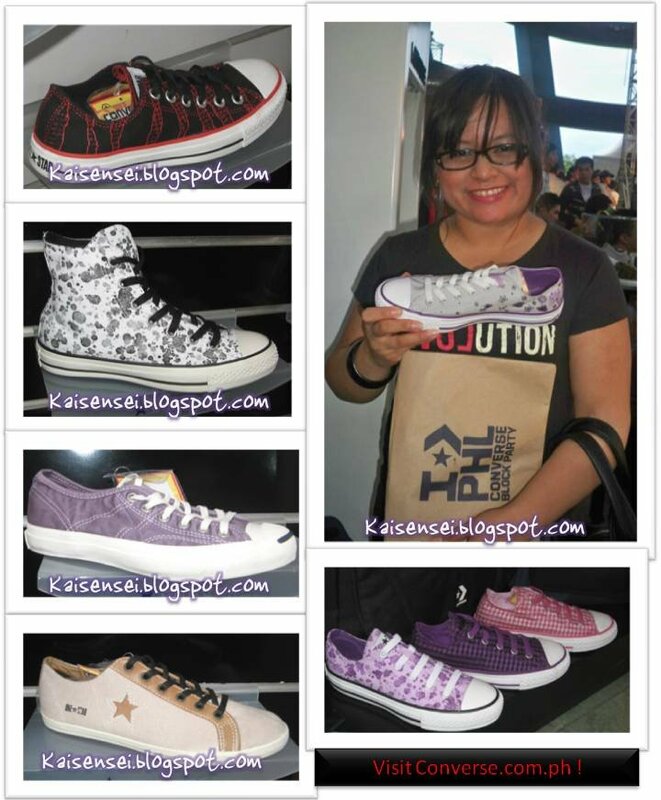 Also many thanks to Jam for inviting us to the Converse event. I really enjoyed it and had a blast!